I love all things pumpkin in the fall. These pancakes are the perfect way to start off a cool autumn morning! 2. In a separate bowl, combine pumpkin, buttermilk & eggs. Add to dry ingredients. 3. 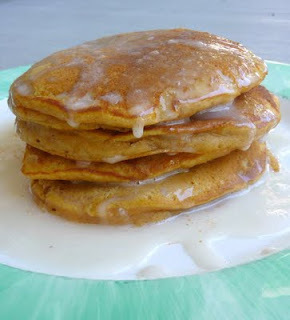 Serve with warm maple syrup, fresh whipped cream or a vanilla glaze.